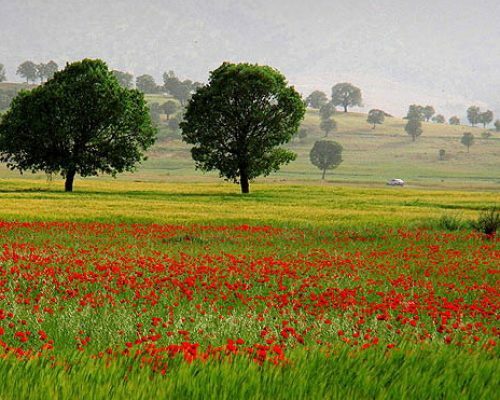 Spring is the best time to Travel to Iran! Special Event and Festivals, such as Nowruz New Year Ceremony, Rose Water Ceremony and etc. make every tour magical and fantastic. 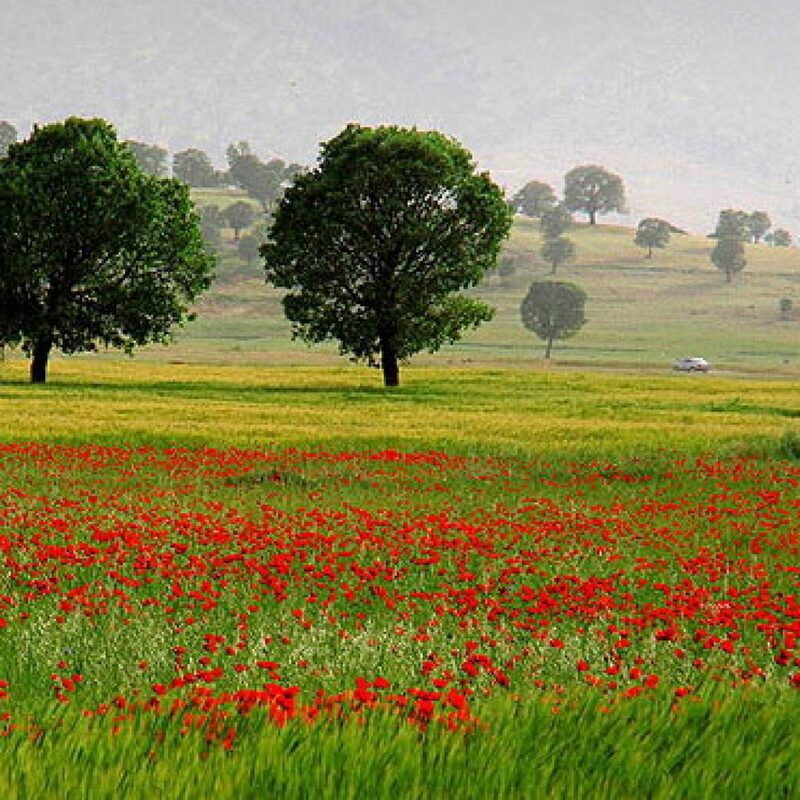 Although Iran is a Four season country, but there are things that you can experience only in Springtime ! 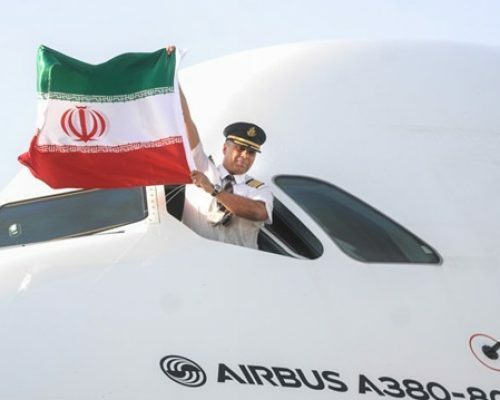 Arriving to the capital of Iran, Tehran, this city locates in the center of land of Persia. 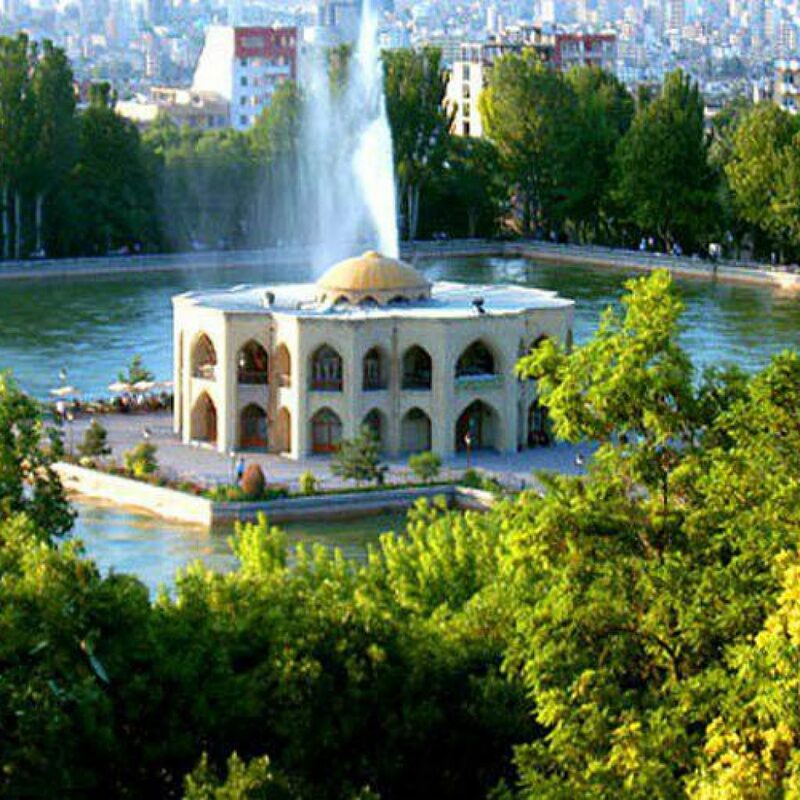 Tehran has been Iran capital after the Qajar Era. 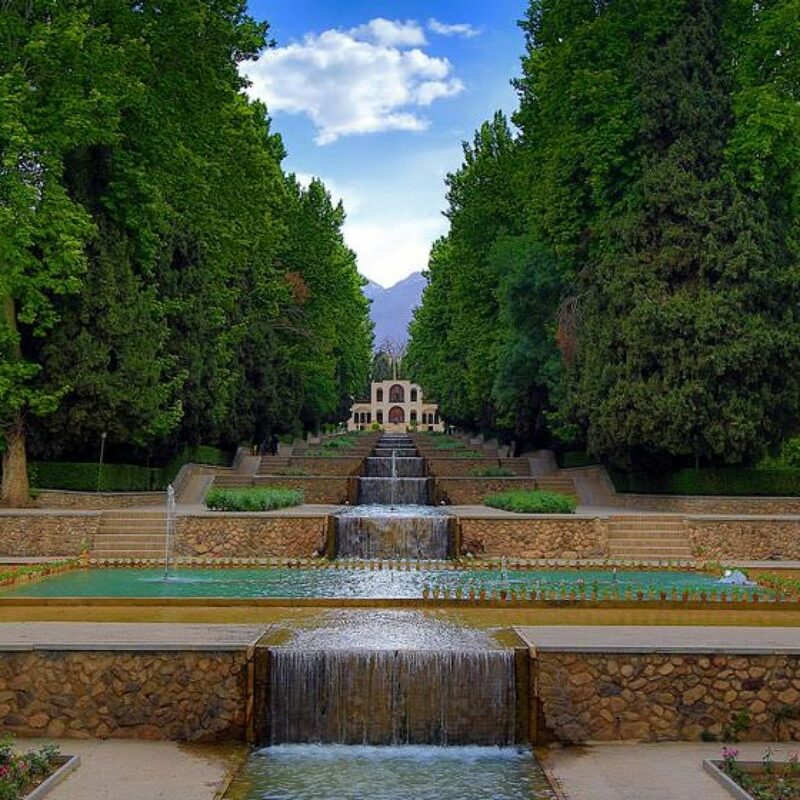 In this dynasty Tehran has been developed and Qajar Kings have built so many Gardens-Palaces and also museums there. Now a days Tehran has the most giant buildings in Iran too. 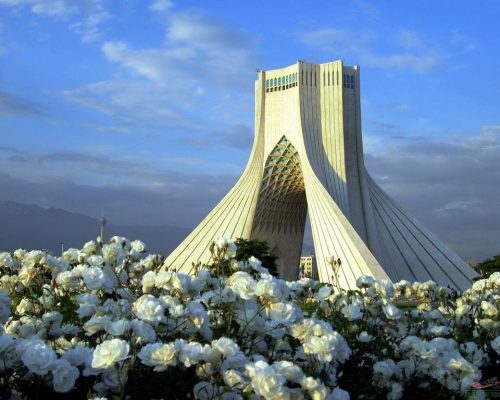 The symbol of Tehran are Azadi Tower which means the tower of Freedom and Milad Tower. 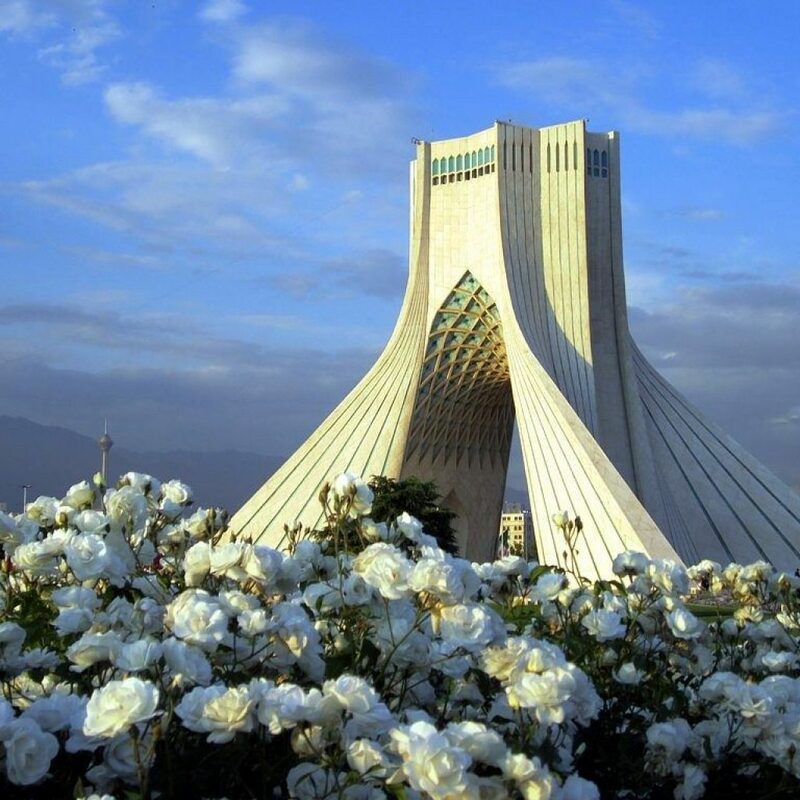 Arrival in Tehran and based on arrival time we’ll visit Azadi Tower and Tehran Grand Bazaar enjoying the vibe of Persian traditional business. 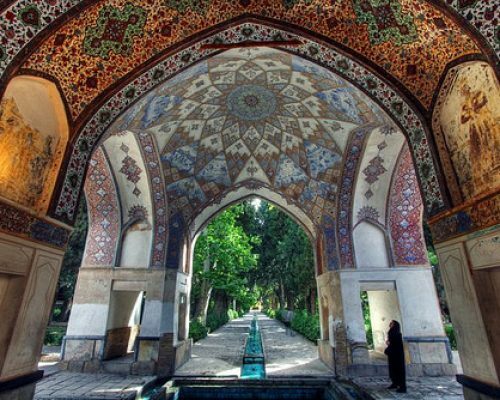 Then we’ll visit the Historical-Time Tunnel at National Museum of Iran, there you can have an aspect of Iran’s history within the time. There are objects from thousands years ago up to now. 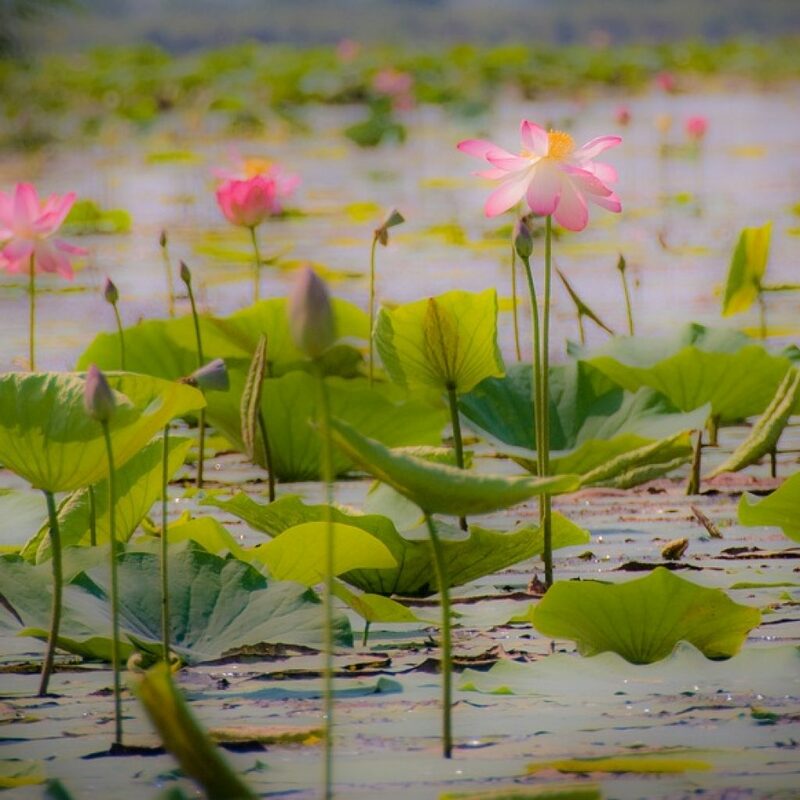 Drive toward Ardabil through Caspian Seashore, visiting Bandar Anzali and Anzali Lagoons on the way. 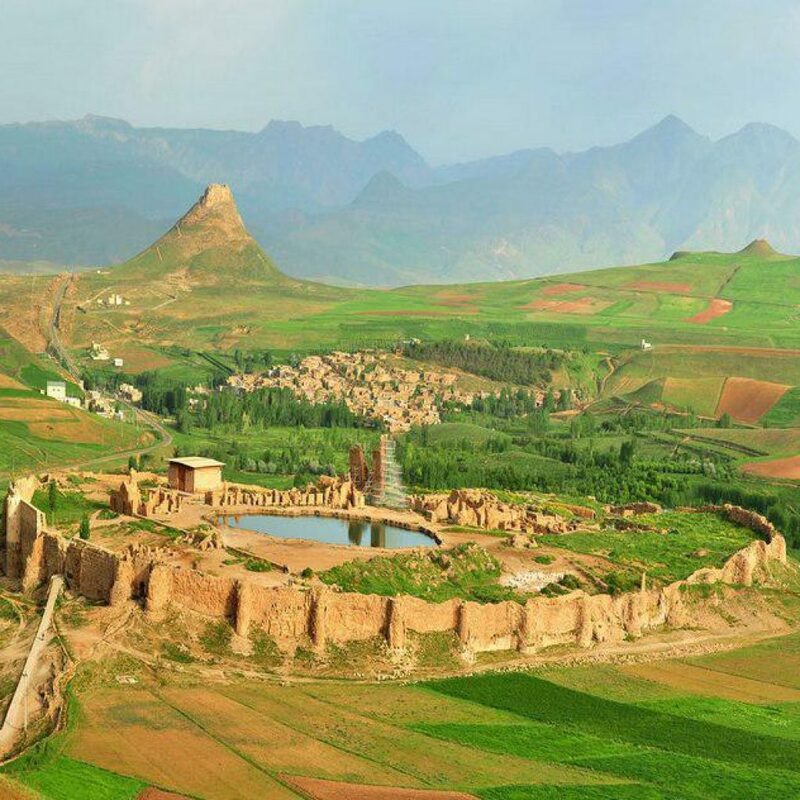 Ardabil is a city with history of 3000 years locating near to the Silk Road, which was once one of the main roads in the north sides of Iran. 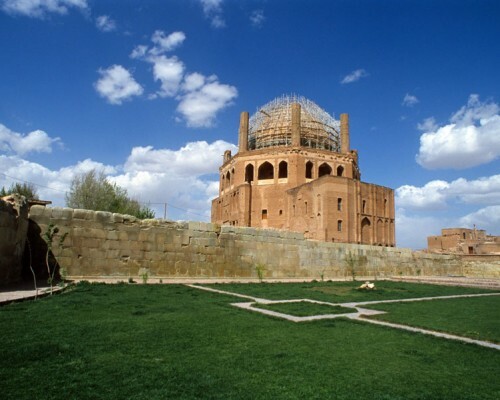 Today we’ll visit Safi Aldin Ardabili Mausoleum/ Shrine, where the first founder of Safavid Dynasty is buried. What makes this monument so unique to be UNESCO world heritage site, is its lovely tiling, gold works, paintings. The inner side of its vault is very eye-catching. There are 2 silk persian carpet in this mausoleum which is very splendid. 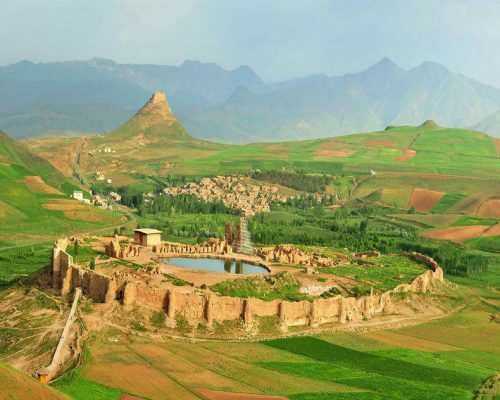 Tabriz is selected for 5 continuous years as the best city to live in Iran. The people speaks Turkish rather than Farsi and their Turkish is different from the Istanbul Turkish language. In Tebriz, we’ll visti Tabriz Bazaar, which is the longest roofed Bazaar in the world. This bazaar consists of different parts for different trades such as Gold, Rugs, Ceramic, Shoes. 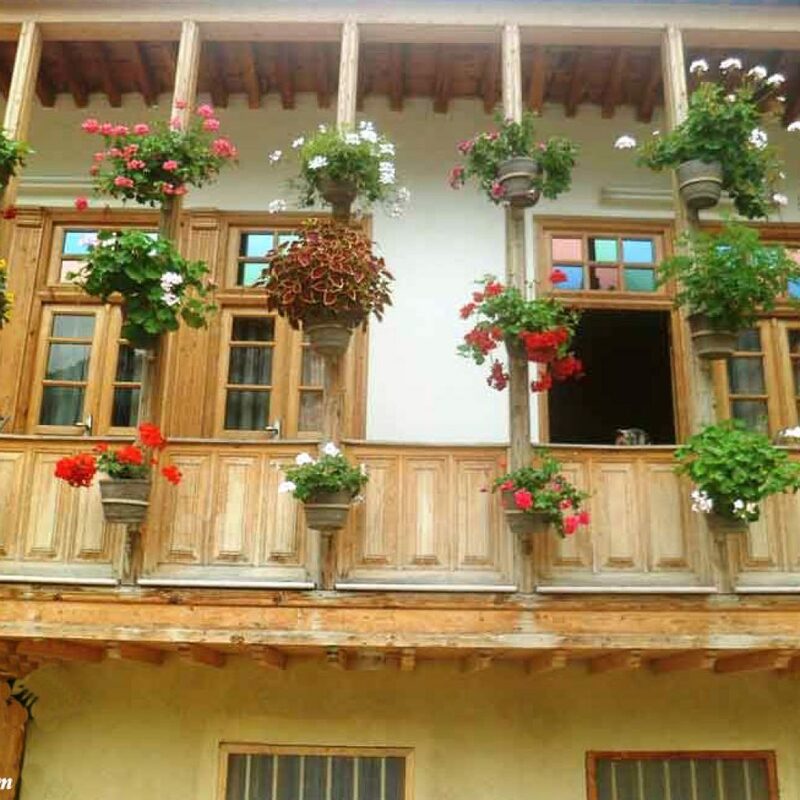 Then we’ll spend the noon in El Goli (Shah Goli). 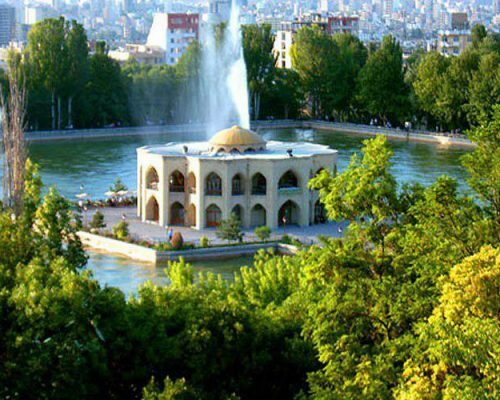 ElGoli was first a place for providing water for Tabriz Gardens and in time it turn into a park with a nice handmade lake and a summerhouse inside it. We can have lunch in the summer house which is restaurant now. 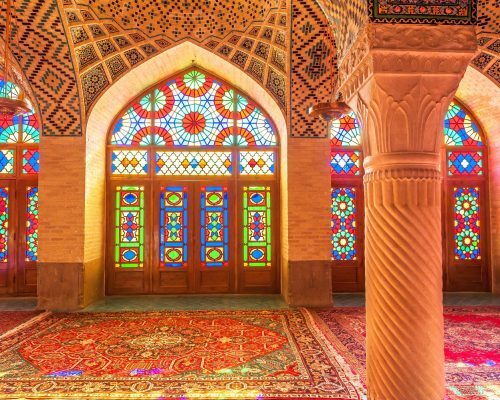 In the afternoon we’ll visit Kabood Mosque of Tabriz (Jahan Shah Mosque) which is famous as Islam’s turquoise dating back to 400 years ago. 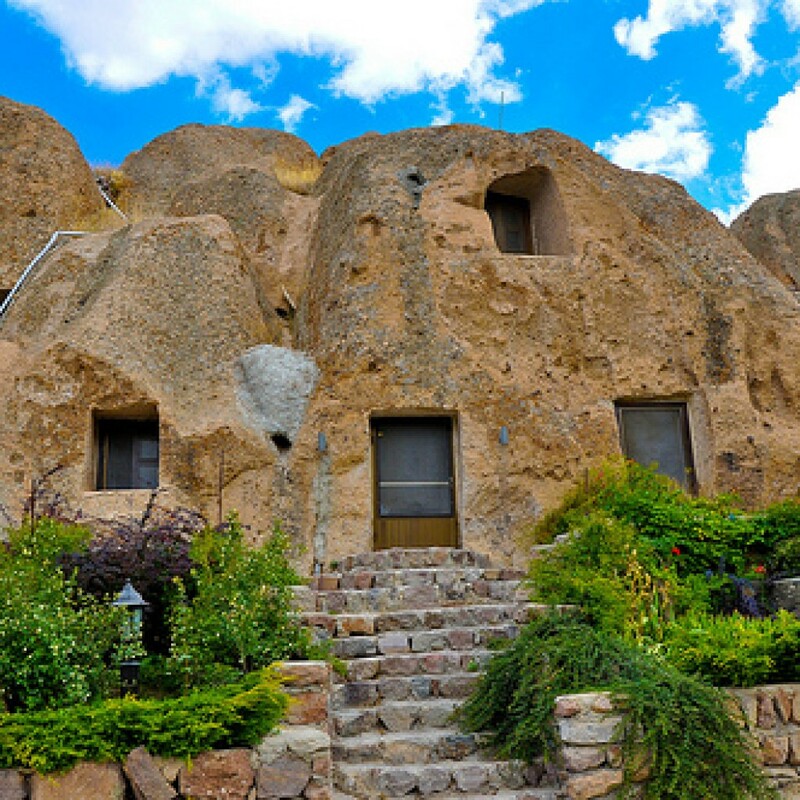 Drive to Kandovan, spending some hours visiting this handmade village which has a unique architecture and also a lovely nature. 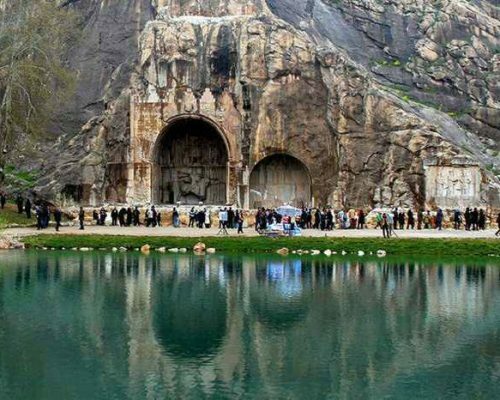 Then drive to Maragheh, there we’ll visit Gonbade Kabood, the symbol of Maragheh. Drive to Takhte Soleyman, a complex of Fire Temple, and Church. 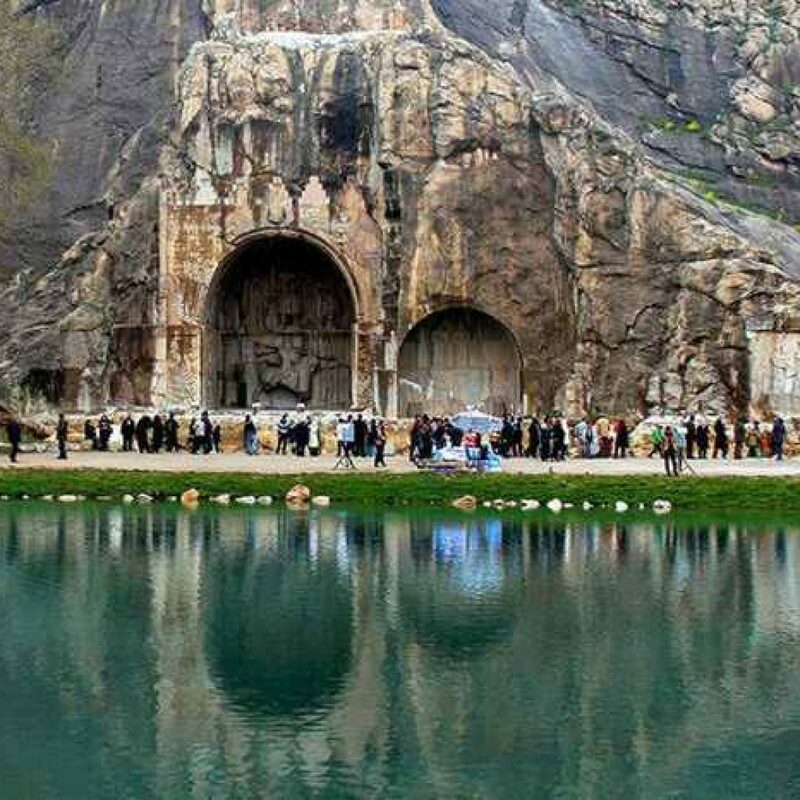 Its historical name is Azargoshnasb and from Sassanid era it was a sacred place. 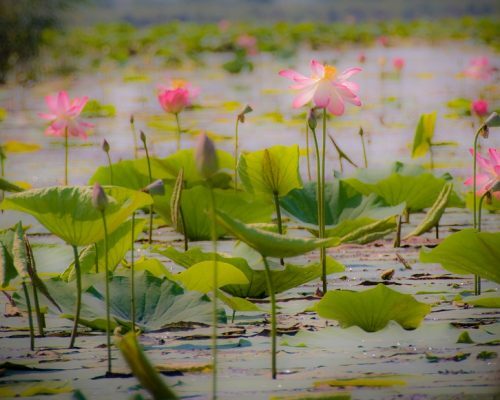 It is said that this place is one of the energy centers of Earth. Drive to Zanjan. Drive toward Hamedan, en-route visiting Soltaniyeh the Tomb of Uljaitu, one of the Mongol Kings. He built this place for himself which had the most giant vault for hundred years. Later the church of Santa Maria Delfiore in Florence, Italy was built with the same plan but bigger. The tiling of Soltaniyeh Dom is very famous and splendid, designed with the name of God. 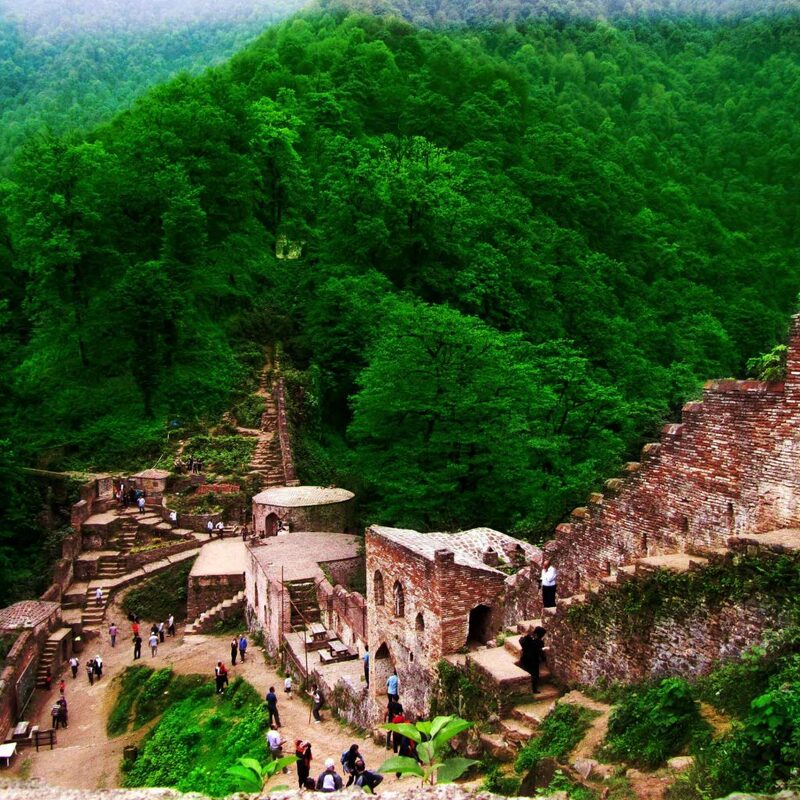 In Hamedan, we’ll visit the ancient city of Hegmataneh (Hamedan). 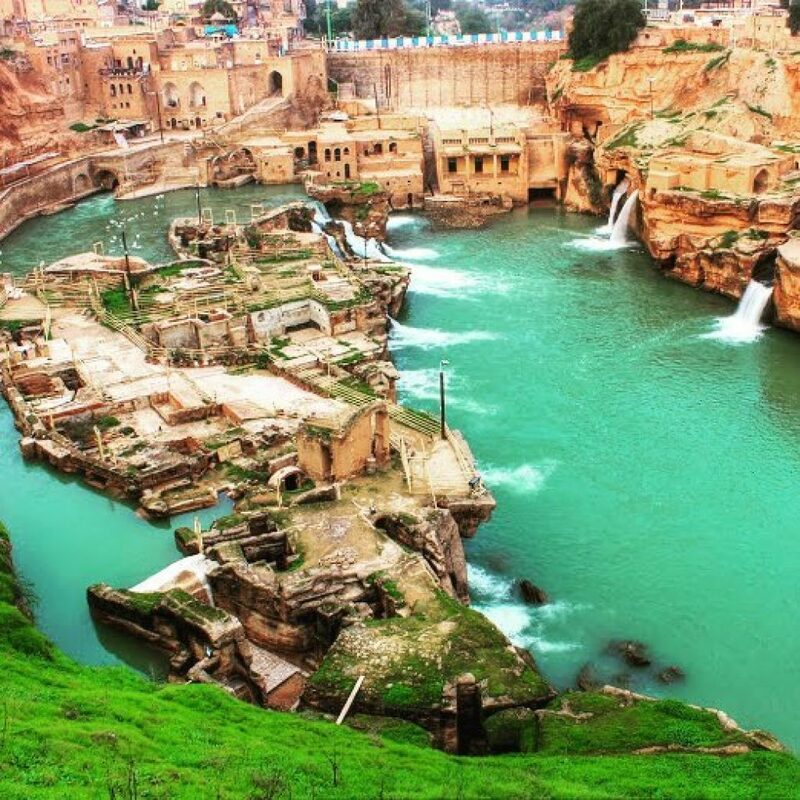 Hegmatane which used to be called Ecbatana, was one of the first basement of Persian civilization. 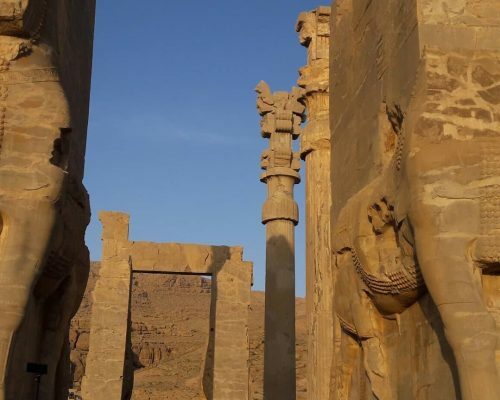 This city was once a great capital of Mad dynasty, the first dynasty of Iran. 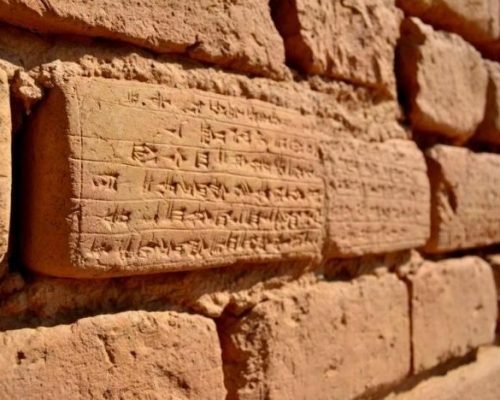 Then we’ll visit Ganjnameh, the inscriptions of Darius and Xerxes the Achaemenid great kings. 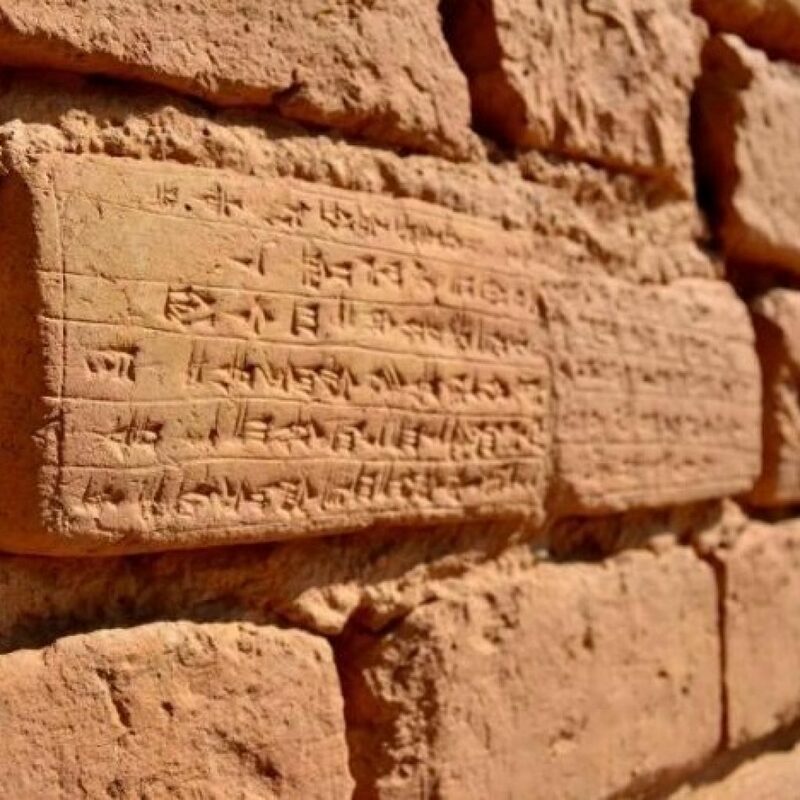 Drive toward Kermanshah, visiting Bistoun, where we can find the achaemenid bas-relief with three language and one of them is ancient Persian inscription. 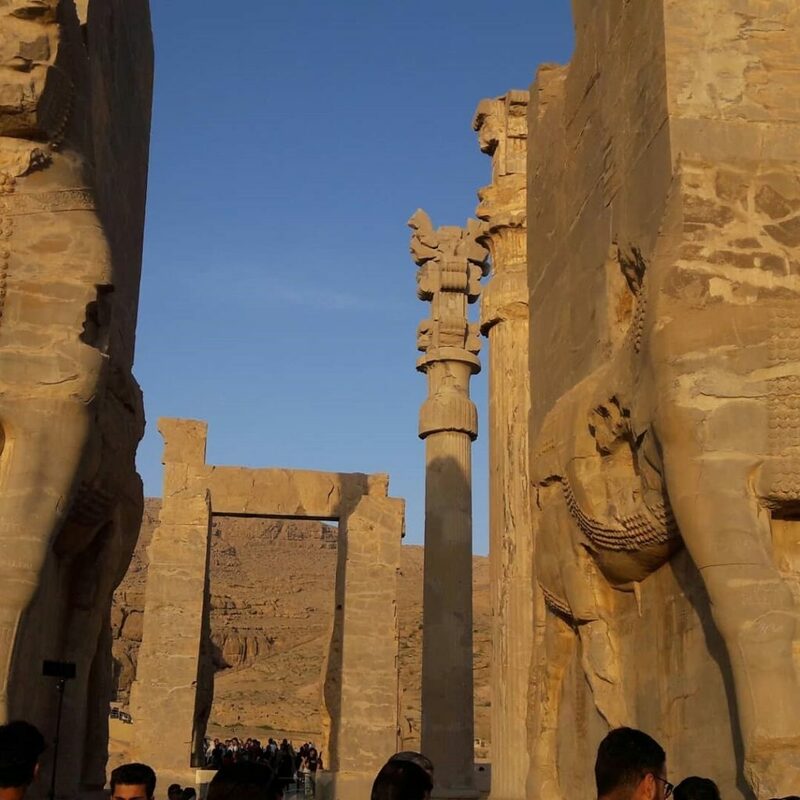 They are all written and carved by the order of Darius the great. There we can also visit the sculpture of Hercules. Then we’ll visit Taghe Bostan, the ancient bas relief of Sassanid Era. The Sassanid king receiving the ring of power from the god. Drive to Shushtar, visiting Falakol Aflak Citadel. 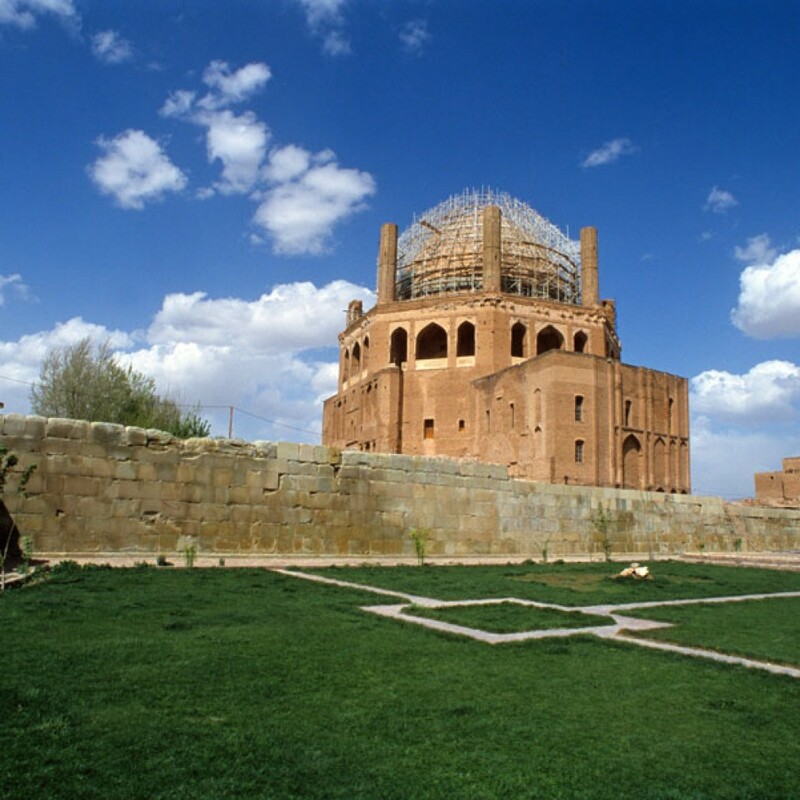 Chogha Zanbil Temple, the first UNESCO world heritage site. This ziggurate was built in 5 floor and was a place to worship the Elamid god who took care of Susa. 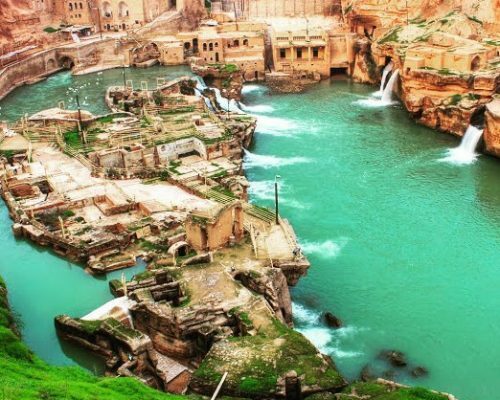 Visiting the Shushtar Hydraulic System is our next destination, there we’ll visit one of the greatest water system of the country which is joined with waterfalls, bridges and etc. 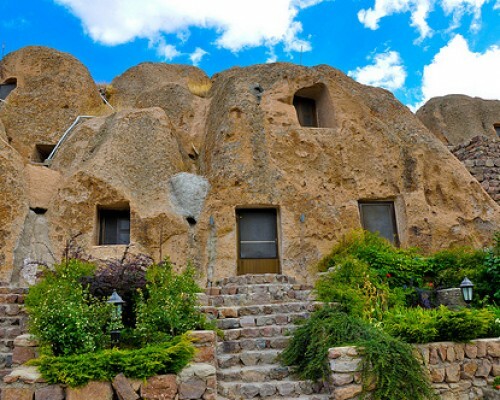 Then we’ll visit Danial Tomb, the prophet. At last based on time we might visit the The Susa Castle ( Acropol) which was built by the French people and in its construction they have used bricks of Choghazanbil and Apadana palaces. 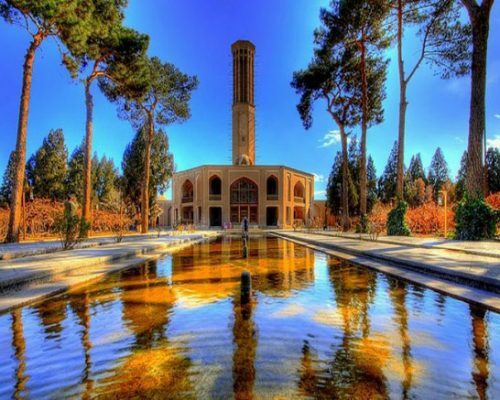 Drive to Shiraz, in Shiraz we’ll have a half day tour visiting Hafez Mausoleum, a poet who lived in Shiraz and dedicated his life to write mysterious poems which are mostly about love of God. Goethe the famous German poet had a special respect and love for Hafez. 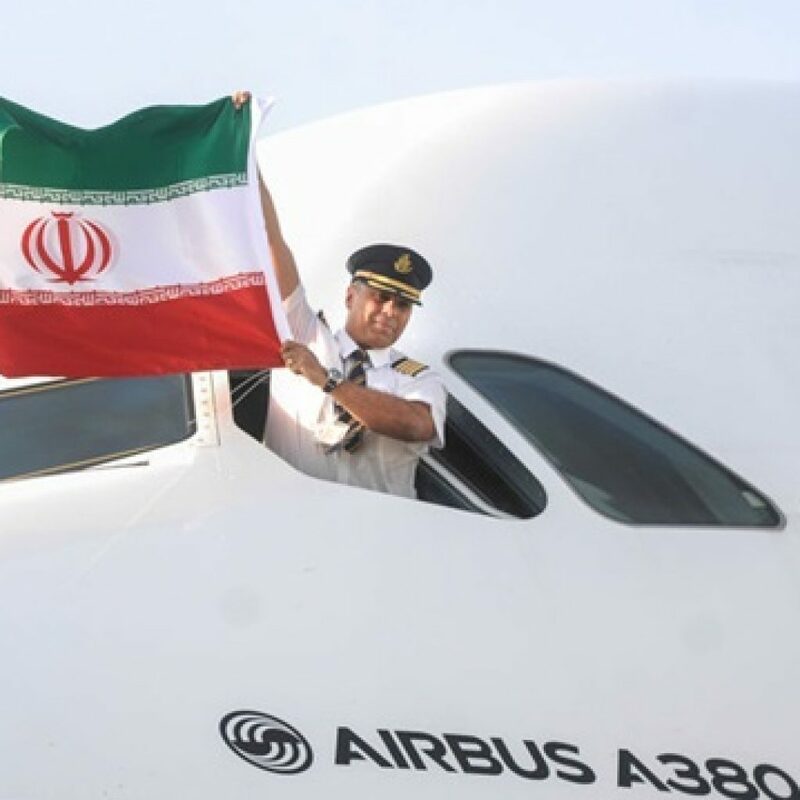 Based on time we’ll visit Shah Cheragh Shrine. 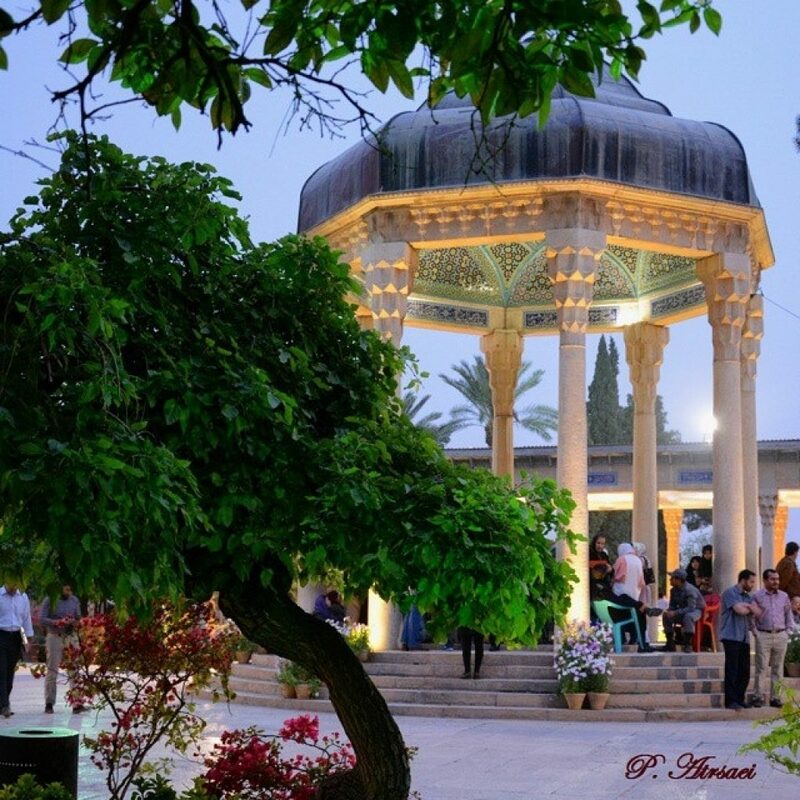 In Persian language Cheragh means Light, Shah Cheragh shrine is full of lights and mirror arts in this shrine makes the light twice beautiful and glowing. 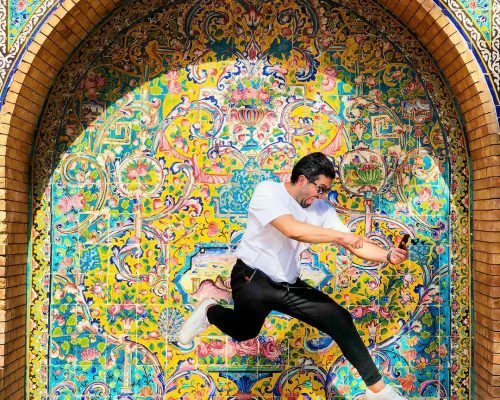 After Breakfast early in the morning we will go to Nasir al Molk mosque, visiting the colorful masterpiece which is also known as Pink mosque and Naranjestan Qavam, a royal Qajar house with lovely mirror art and paintings. Walking in the old part of Shiraz, visiting Vakil Bazaar. 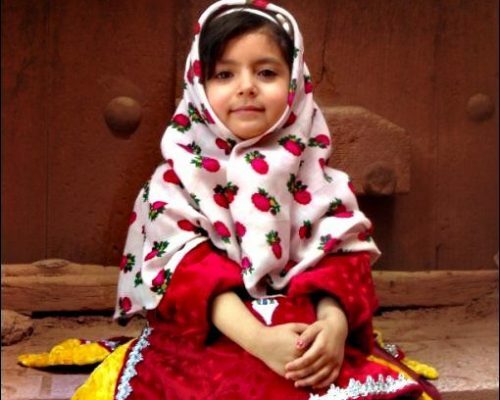 Saraye Moshir is a famous part of Bazaar, which sales beautiful stones and jewelry. 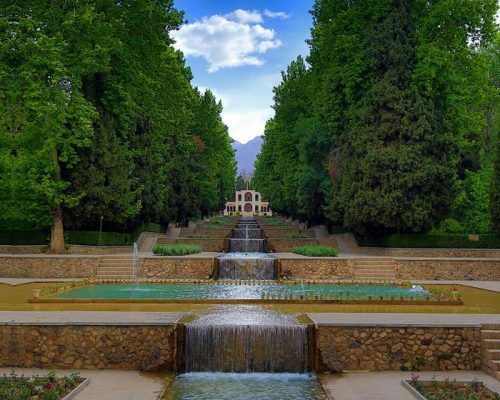 Then we will visit Eram Botanical Garden, which is the most famous and beloved garden in Shiraz. After Breakfast, we will drive to visit Persepolis, the beautiful ceremonial capital of Achaemenid dynasty, a complex of palaces, joining together to be the masterpiece remaining from 2500 years ago and then Necropolis (Naghshe Rostam) tombs of great Achaemenid Kings and bas reliefs of Sassanid period. 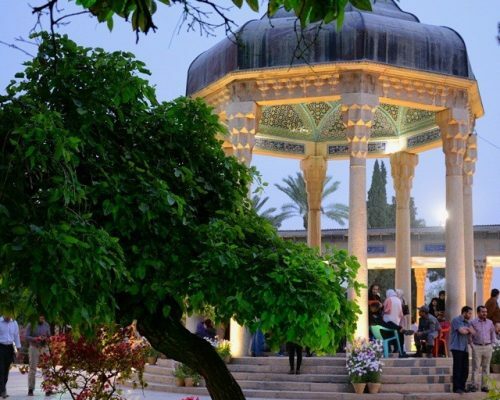 Overnight in Shazdeh Garden in Mahan, and visiting this Persian garden which was built in Qajarid Era and is one of the UNESCO Persian Garden sites. 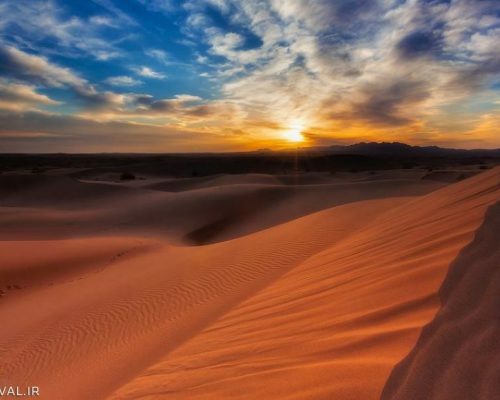 After breakfast we’ll drive to Shahdad desert, to see beautiful kaluts laying on loot. 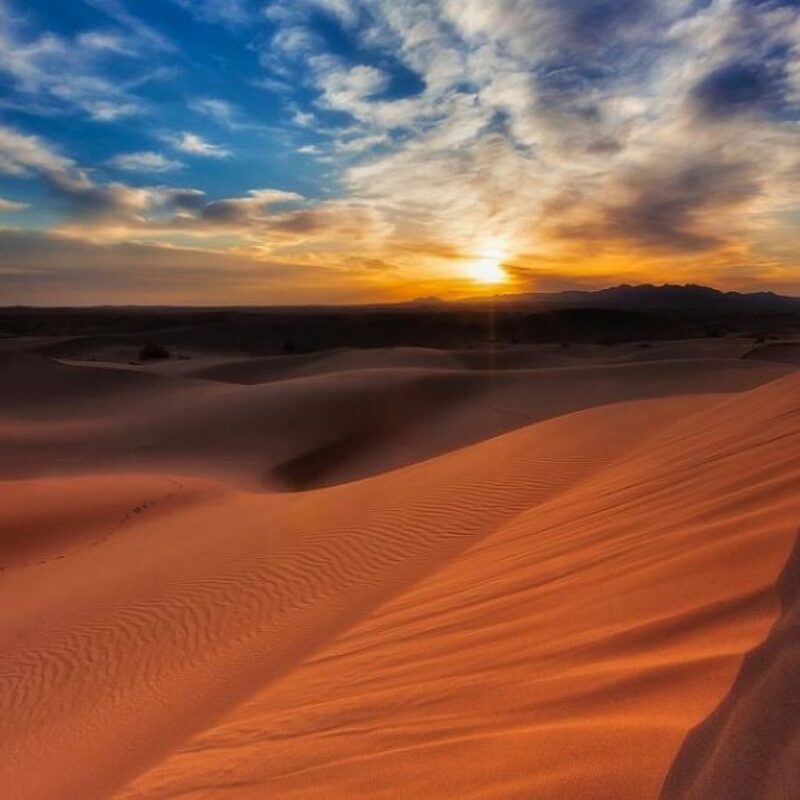 A fascinating attraction of Kerman. 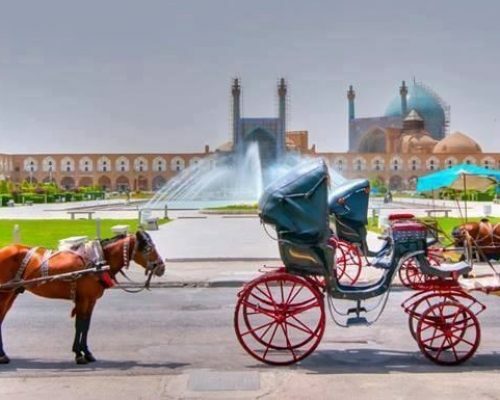 Drive to Yazd, In Yazd, we’ll visti Amir Chakhmaq Square, the main square of the city, which is surrounded with Bazaar, Bath, mosques and Ice houses. In the night So many Stars in the sky are waiting to be your eye’s guests. 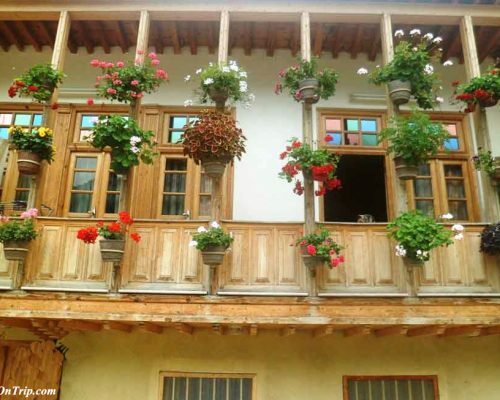 Breathing fresh air in the Yard of your hotel and enjoying the stars would be very pleasurable. 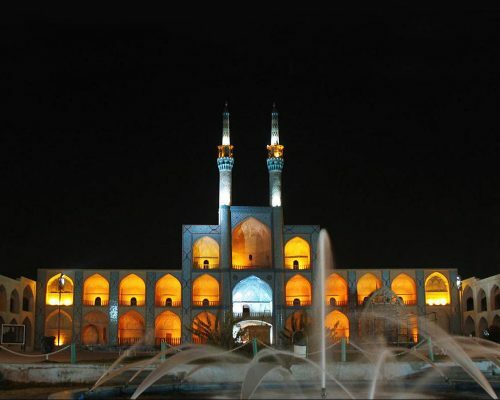 Today we will visit Yazd Jame Mosque, the main mosque of Yazd, with a splendid tile work. Zoroastrian Fire Temple , there is a fire inside this temple which is burning for 2000 years and Tower of Silence a place where Zoroastrian used to leave dead bodies. 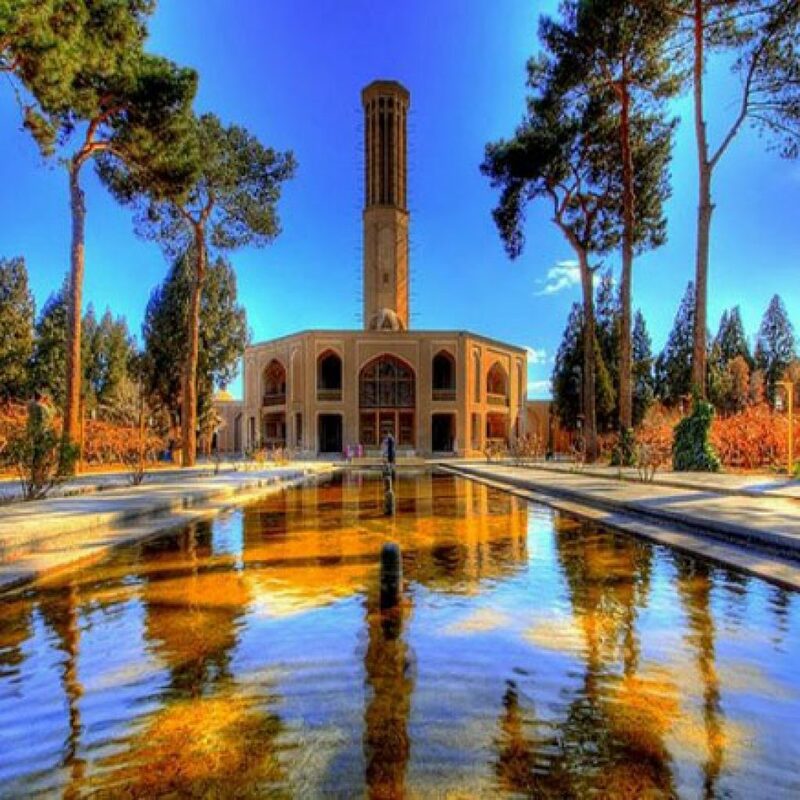 Visiting Dolat Abad Garden, a UNESCO world heritage Persian garden site, that has a summer house with a very tall wind tower, On the way we’ll visit Naein Jameh mosque which is one of the first Mosques of Iran. 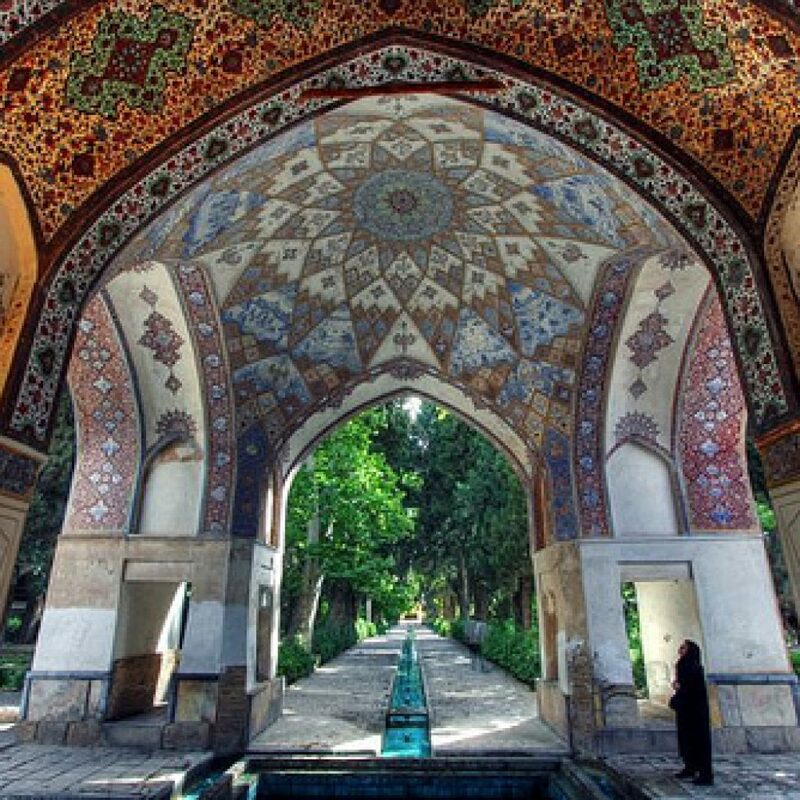 Breakfast at Hotel, then heading to Beautiful Naghshe Jahan Square, Imam and Sheikh Lotfollah Mosque, Ali Qapu palace, Qeisarieh portal, Chehel Sotoon,. They are all remaining from Saffavid era to show their Islamic art skills. 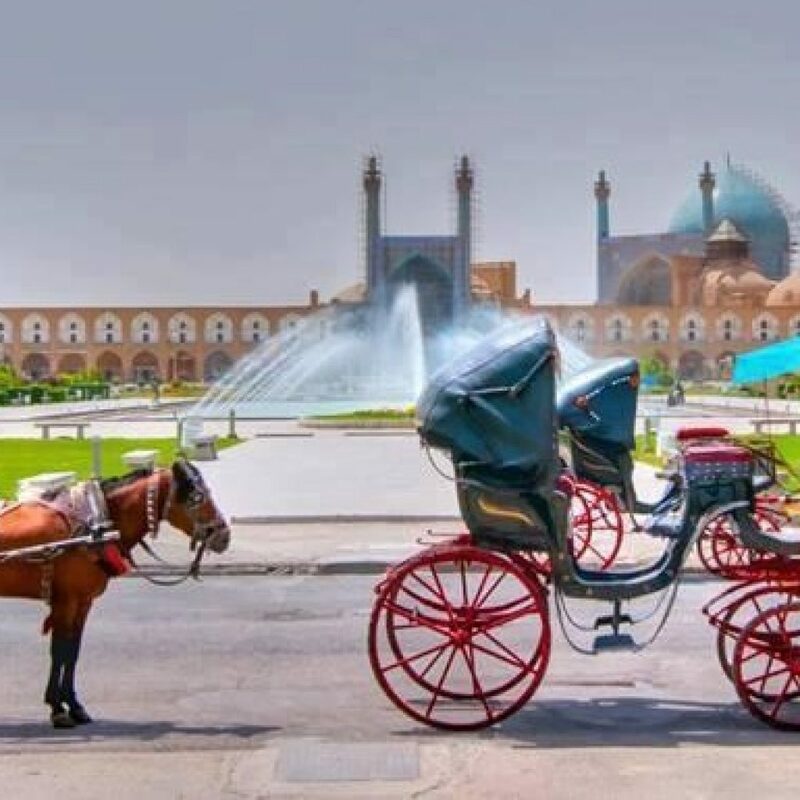 In Naghshe Jahan Square you’ll have time to see handmade products and explore shops. The most recommended and beloved Iranian handmade products are Iranian colorful and qualified carpets. We will visit Jame mosque, afterward we will visit Vank Cathedral and Music Instrument Museum (based on Museum time limits) in Jolfa region. 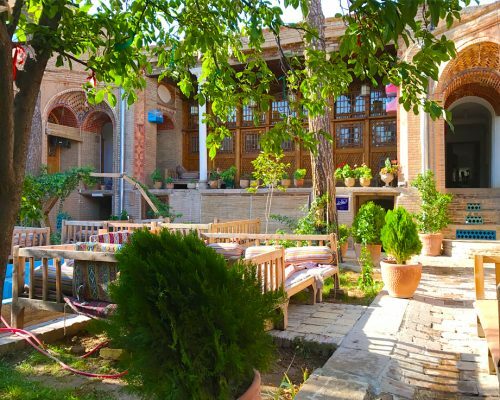 Jolfa is a part of city which is known as Armenian residence region of Isfahan, there you will have time for relaxing and drink a cup of coffee. 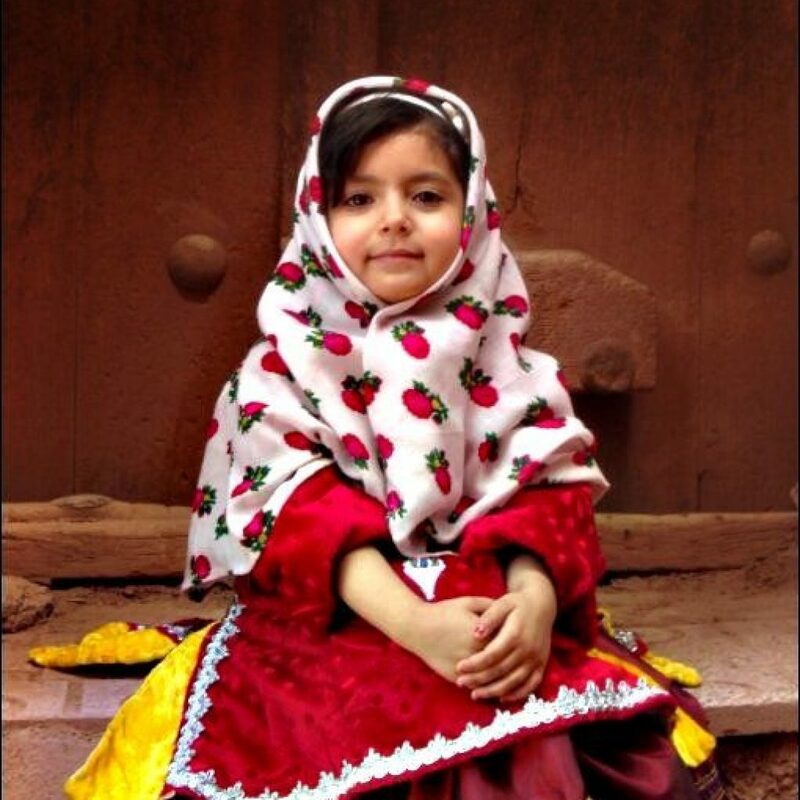 Drive to Abyaneh and spend the afternoon in this red style village, visiting people and their colorful dresses. Having breakfast, then driving to Kashan. 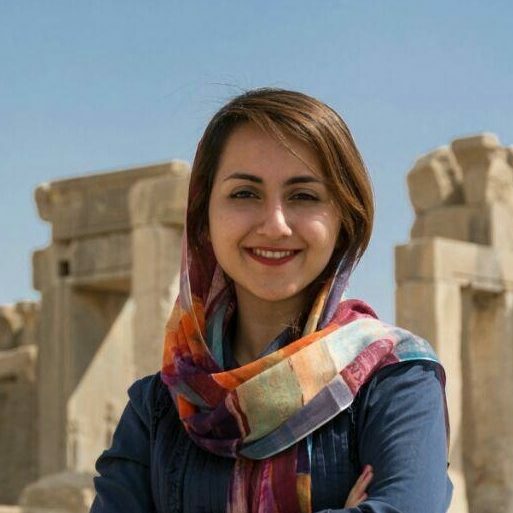 In Kashan we will start our city tour with Tape Sialk, a hill which was the first residential area of developing Men in Iran. 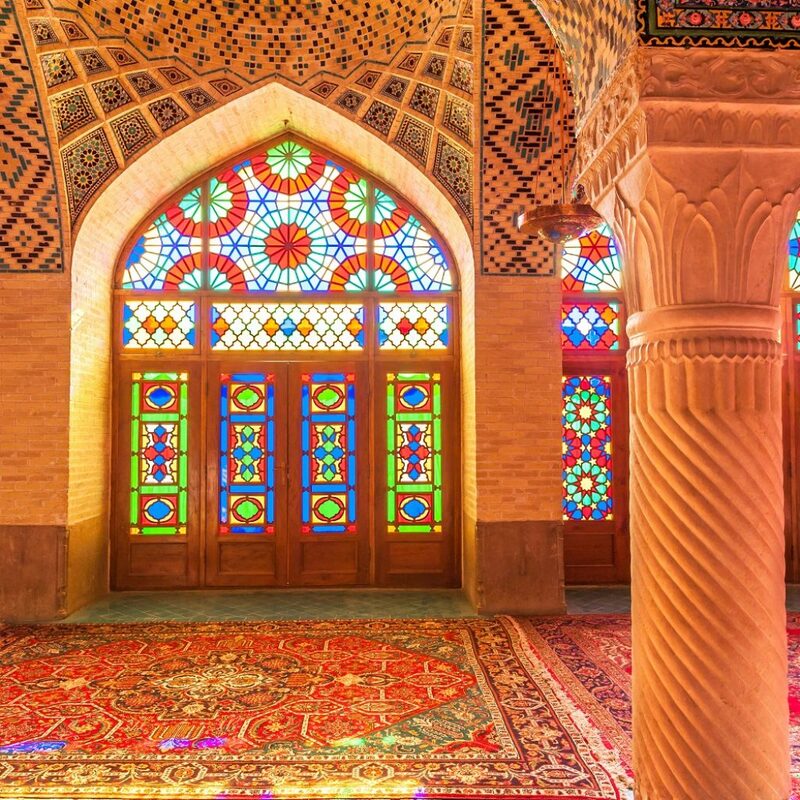 Visiting Tabatabaei traditional house, A Qajari style house with remarkable ornaments. 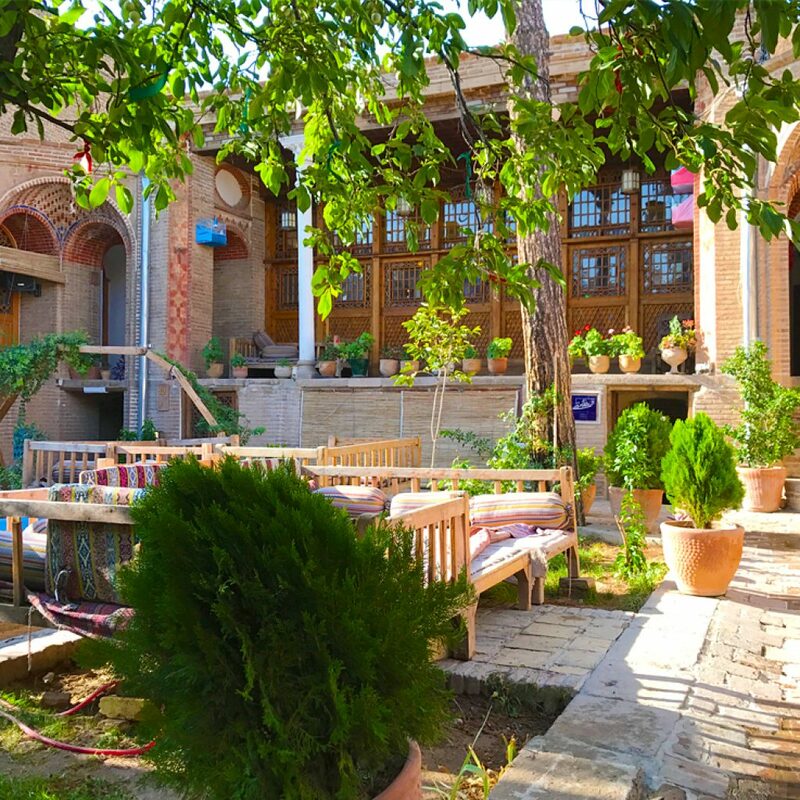 The houses of Kashan seems to be very simple from outside but once you get inside you find yourself in a heaven. Then we’ll visit Kashan Bazaar. Early in the morning drive to Tehran, visiting Maranjab desert and Salt Lake on the way. 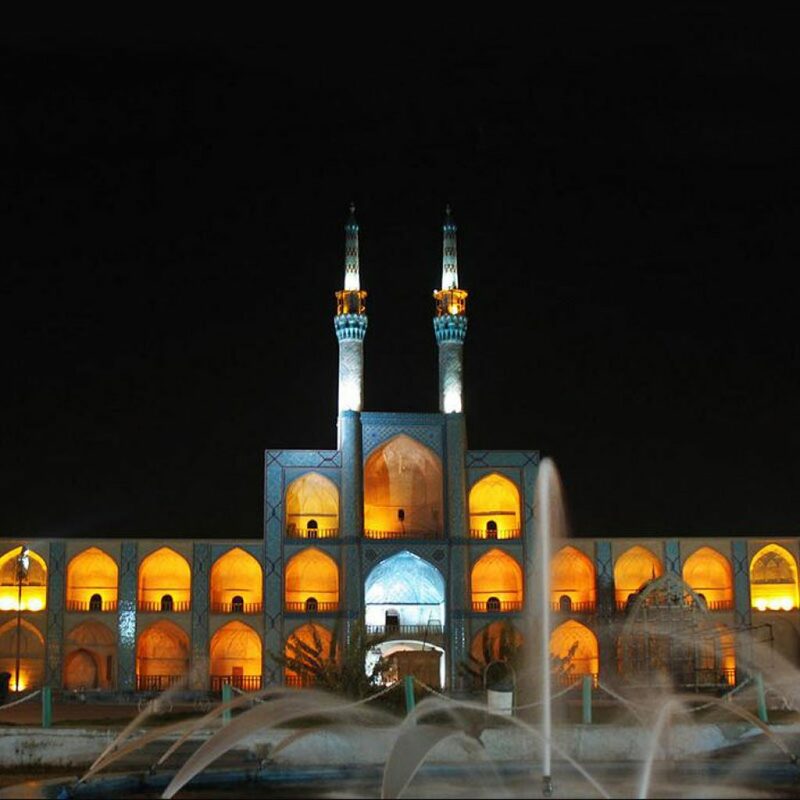 In Qom, we’ll stop to visit one of the most beautiful shrines in Iran, Masuma or Fatima Shrine. 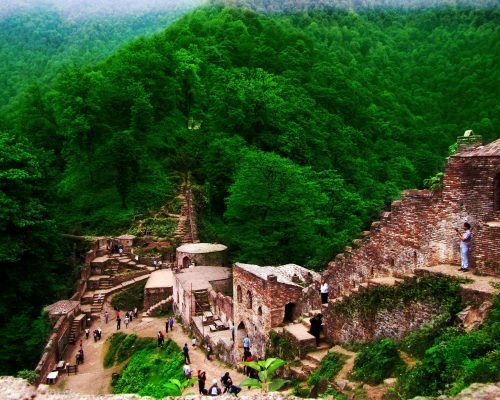 Spring is the Best time to visit every spot in Iran! 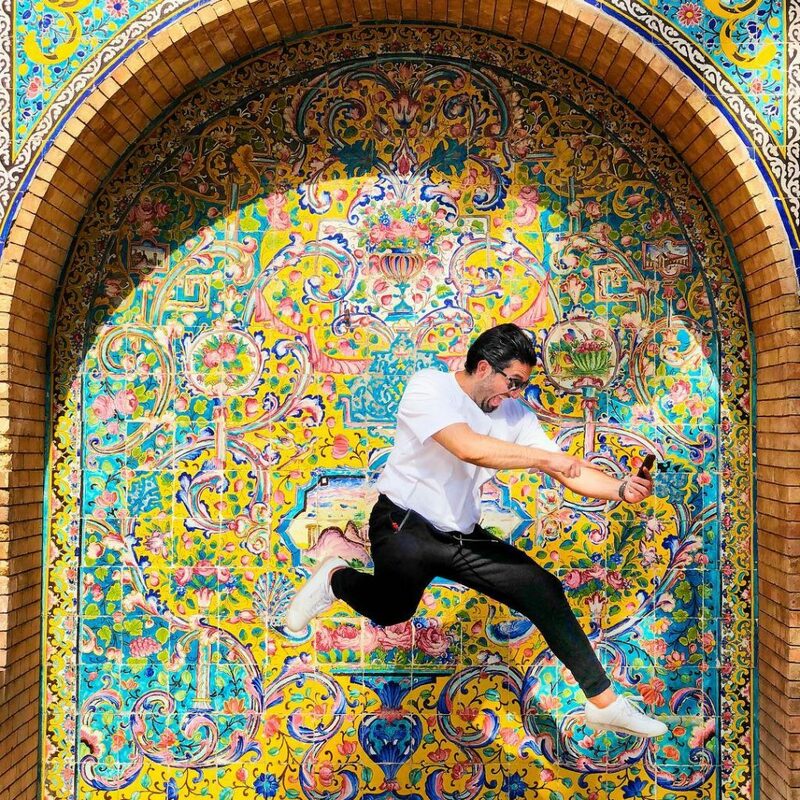 From North to South from West to East, We will Explore Iran in Spring!